Every lay-member of the Roman Catholic Church, who is encouraged by the Church to go on pilgrimage to Lourdes, should read the book "Eleven Lourdes Miracles" by Dr. DJ. West, M.B. CH. B., D.P.M. (Duckworth). Dr. West critically examines the eleven cases that have been proclaimed miracu­lous by Canonical Commissions dating between 1937 and 1952. Each case has passed through the three stages necessary for adoption as miracles. They have been investi­gated and reviewed by the Lourdes Medical Bureau, by the International Medical Commission in Paris, and finally by the Ecclesiastical Commission. Anyone of these three bodies may reject a case, and it is interesting to see how many are rejected. In the years 1946, '47 and '48, the Lourdes Medical Bureau found 194 cases worthy of further examination, and eventually only 19 of these cases were passed on to the International Medical Commission. The Medical Commission accepted only one of these. In 1949 they accepted three and rejected three. Of the six cases accepted by the International Medical Commission only three have been declared by the Eccle­siastical Commission. It will be seen then, that the church does not rashly pronounce a miracle cure. Dr. West takes the eleven cures pronounced miraculous by the Canonical Commis­sion since 1946. But he first makes clear the restricted nature of the 'miracles'. They are not, he says, "of a type that an outsider would consider self-evidently miraculous. There are no cases of lost eyes or amputated legs sprouting anew. There are very few cases of recovery from incurable diseases, and very many cases of dramatically swift recovery from serious but potentially curable conditions like tuberculosis". He adds; "In most cases no claim can fairly be made about the cure unless the patient is sub­jected to rigorous examination immediately before and immediately after the alleged cure. Unfortunately, this never happens". 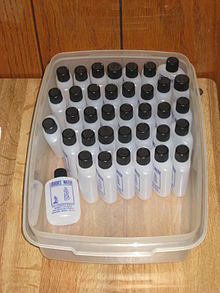 One of the eleven cases is considered in detail. It is that of Miss G. Clauzel, whose Rheumatic spondylitis with compression of the nerve roots was allegedly cured during Mass on August 15th, 1943. The patient's own doctor (Dr. Maurin) provides the chief medical document dated May 21't, 1944, and this is given in full. Dr. West finds that; "As a medical document, Dr. Maurin's report, like so many of the accounts to be found in the Lourdes files and publications, is curiously imprecise and unsatis­factory. Miss. Clauzel had an obscure disorder of many years' duration, and at no stage does she appear to have had a complete investigation such as would be carried out on a similar case in any modern hospital”. The fact that the consultant referred to was a psychiatrist is withheld. "Dr. Maurin's explanation of the whole case in tenns of extensive nerve-root compression is scarcely plausible". Miss. Clauzel's symptoms seem to be more severe and extraor­dinary than can be accounted for by the spinal arthritis and postural defect which is all that is indicated in the X-ray report dated August 20th 1945. Dr. West suspects hysteria, and "if the Clauzel case is just another example of hysteria cured dramati­cally by suggestion, it hardly seems worthwhile discussing it further". The Lourdes’s Medical Bureau's report throws no further light on the nature of the illness, but it reveals "an attitude" of mind in the doctors responsible, wh9 seem determined to avoid the obvious natural explanation". The report of the Canonical Commission is also given, but it merely reiterates their own particular interpretation of the evidence "with no consideration of alterna­tive possibilities", and it glosses over "the absence of any clear evidence as to the organic basis of Miss Clauzel's illness". Dr. West concludes that "in this and in many other instances the Lourdes Bureau has lent its support to cures without sufficiently investigating the case and without giving fair consideration to interpretations that do not fit in with the idea of a miracle". The other cases are no more rewarding for the miracle seeker. Mrs. Costas (1947) has 'such obvious possibilities for ordinary explanations' Even if Francis Pascal had been miraculously cured of his blindness in 1938, "the medical documentation is so poor that we could never be sure of it". Colonel Pellagrin's case of liver abscess and fistula (1950) is not remarkable for the healing, but for the "coincidence between the closure of the fistula and the visit to Lourdes", and the alleged rapidity of the healing. There is, also "impreciseness re­garding crucial dates", and "as a result of treatment the Colond"'s fever was cured, his general health improved and his weight increased long before he visited Lourdes. The closure of the fistula was merely the last stage of a lengthy process of recovery". Sister Mary Marguerite did not go to Lourdes, but recovered after prayer and the taking of Lourdes water. "Without careful medical substantiation of such case, the sceptically minded are unlikely to be interested", says Dr. West, and "the original dossier has disappeared from the Lourdes files". In the report of the LOURDES BUL­LETIN No.69, July 1946, "we are told practically nothing" and the nun's medical adviser, Dr. Philouze, reveals "a surprising lack of appreciation of the sort of informa­tion required so that one cannot place much confidence in his medical judgment." Miss. Cannin was said to be suffering from tubercular peritonitis when cured i~ 1947, but Dr. West protests against the view that T.B. peritonitis was "finally estab­lished on clinical grounds". Ail that one can say is that the "patient suffered from a long-standing but fluctuating abdominal disturbance of undetermined origin". "It could have been in part, functional" he continues, for she "had recovered several times before, and she recovered again very rapidly after her visit to Lourdes". "Such an event" he says; "deserves no special comment". Jeanne Fretel's case (1948) "seems practically most remarkable; it is a tragedy that information is so lacking. On the unsatisfactory, jumbled and inconsistent infor­mation available, no definite scientific statement can be made about Jeanne Fretel's condition”. The absence of "crucial evidence" is "regrettable" about Fraulein Traute Fulda (1950). In the case of Miss. Louise Jamain (1937) Dr. West concludes, "it is sad and tantalizing that there should be conflict between the bacteriological and radiological findings, and consequent doubt as to the interpretation of the case". Mrs. Rose Martin's (1947) case deserves clear scrutiny because it is claimed that she was cured of cancer. She had a swelling in the bowel which was diagnosed as cancer, but Dr. West finds it "surprising" that her surgeon (Dr. Fey) “did not consider it worthwhile to make sure the swelling was cancerous by ordering a biopsy or at least by carrying out a rectoscopy". Dr. Strobino at Lourdes "argues that the diagnosis of cancer was virtually certain and a biopsy unnecessary since the patient was bed­ridden and wasting away"; but this argument carries little conviction, says Dr. West, because "other complications besides cancer could have produced both swelling and wasting illness". Several examples are given but the most likely is that Mrs. Martin was simply suffering from severe constipation and that the lump was a mass of compressed faeces". It is known that she was taking large doses of morphine - a drug which causes severe constipation - and it is significant that the Lourdes doctors stress that there had been "no abnormal evacuation of the bowels prior to the dramatic recovery". If there had been, says. Dr. West, "It could have been an. important point in favour of the compressed faeces of inflammatory mass interpretations, hence the importance of denying it". “Unfortunately for the protagonists of the miracle cure”, he continues, "the Lourdes dossier contains an account by Mrs. Martin herself of just such an evacuation during the journey. A nurse, Miss. Glory, remembers that Mrs. Martin used the bed-pan, and that she was constantly demanding morphine. On the advice of the pilgrimage doctor, Miss Glory, gave an injection of Lourdes water and camphor instead of the morphine - a fact that "may well explain the sudden relief of the patient's constipation and passing away of the offending matter and the conse­quent recovery". Dr. West doubts Mrs. Martin's cancerous condition and “therefore fails to see why her recovery was considered miraculous or even partially remarkable. Each of the eleven cases mentioned in this book is found wanting. Insufficient evidence, unsatisfactory diagnosis, sometimes a lack of honesty; these and other fac­tors help to create the illusion of Lourdes! The weakness of the Lourdes doctors, says Dr. West, "is that, being impelled to arrive at a predetermined goal, they cannot let themselves be carried along by the facts, and must strive to carry the facts with them. Dr. West is unlikely to convince a fervent Catholic, but he cannot fail to impress the critical reader. While the Lourdes Medical Bureau claims eleven miraculous cures during the years 1937 to 1952, no mention is made of the hundreds of deaths ­miraculous or otherwise - which have taken place at Lourdes during the same period! It would be equally revealing and interesting if, like Dr. West some one in this country conducts a scientific research into the numerous alleged miracles at the nu­merous "Lourdes" scattered allover Ceylon such as Madhu, Talawila, Thevatta, All Saints, St. Sebastin, Adam's Peak, Kataragama, Munneswaram, Koneswaram, Thirukethiswaram, Beruwala etc. 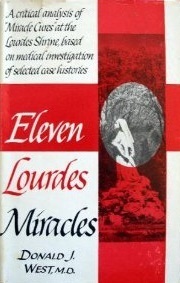 Editor's Note: The book referred to by Dr Kovoor, "Eleven Lourdes Miracles: A Critical Analysis of "Miracle Cures" at the Lourdes Shrine, Based on Medical Investigation of Selected Case Histories" was published by Helix Press in 1957. The book seems to be now out-of-print.